With your help, Dan Royer is going to put construction robots on the moon. Find out more on his website . 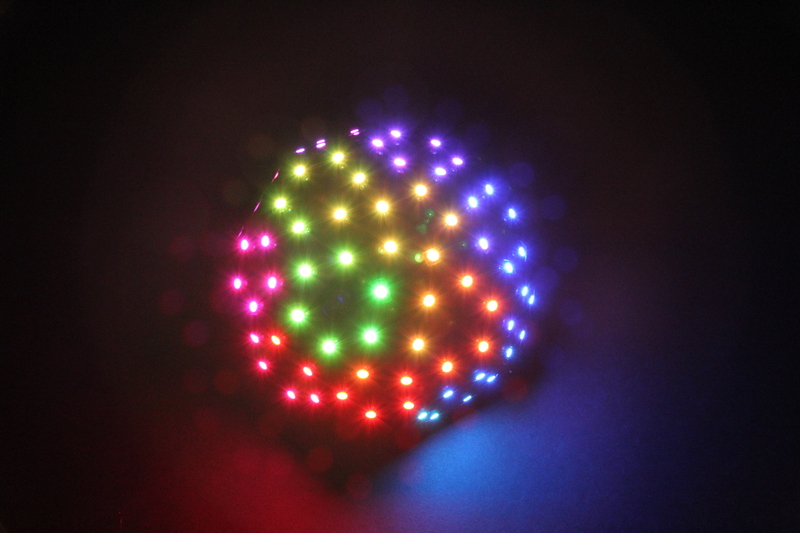 For more on microcontrollers and wearables, check out Make: Volume 43. Don’t have this issue? Get it in the Maker Shed. 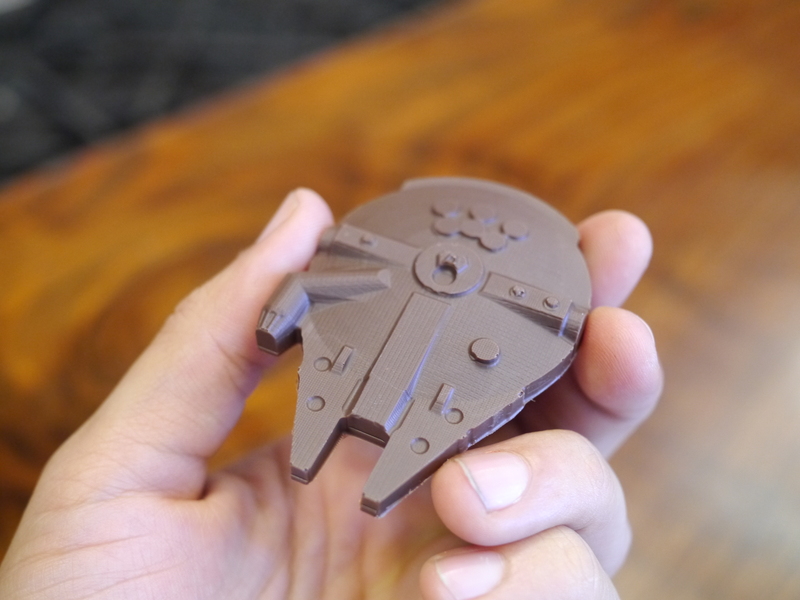 Chocolate Millennium Falcons? Yes please. We asked our friends at Other Machine Co. for fun projects they like to make with their new Othermill, a desktop CNC mill for cutting circuit boards and other small projects. 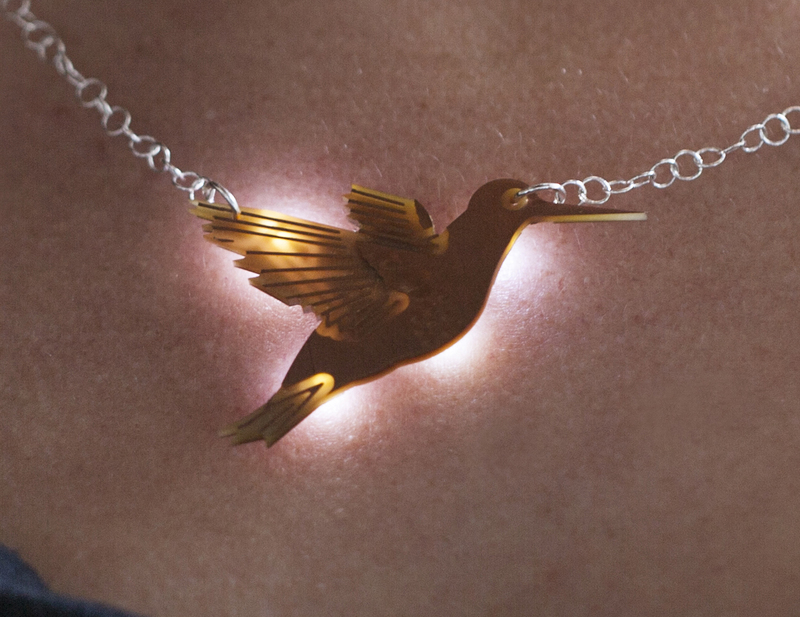 Here’s what they’re making lately in their shop in San Francisco. 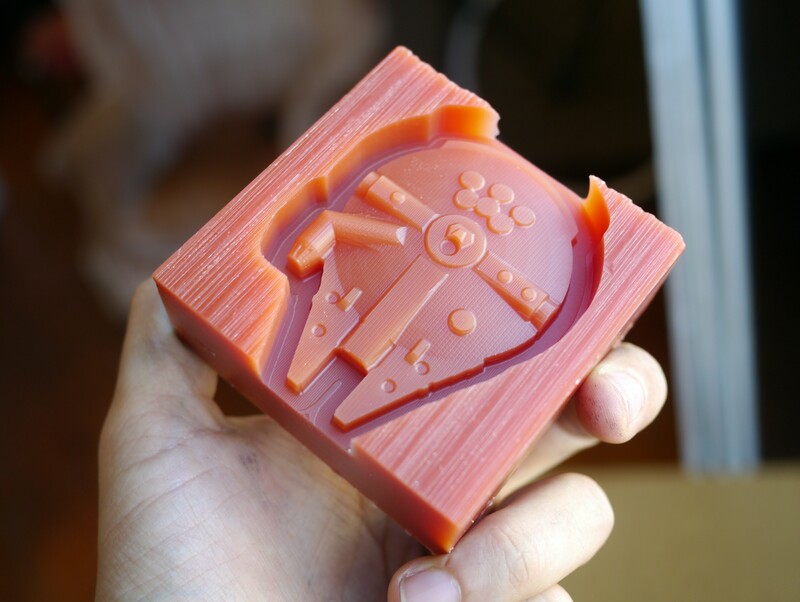 Chocolate may not be the first thing that comes to mind when you think CNC, but with CAD files, machining wax, and food-grade silicone, you can mill a Millennium Falcon chocolate mold that’ll make Han Solo swoon. Pew pew, nom nom! 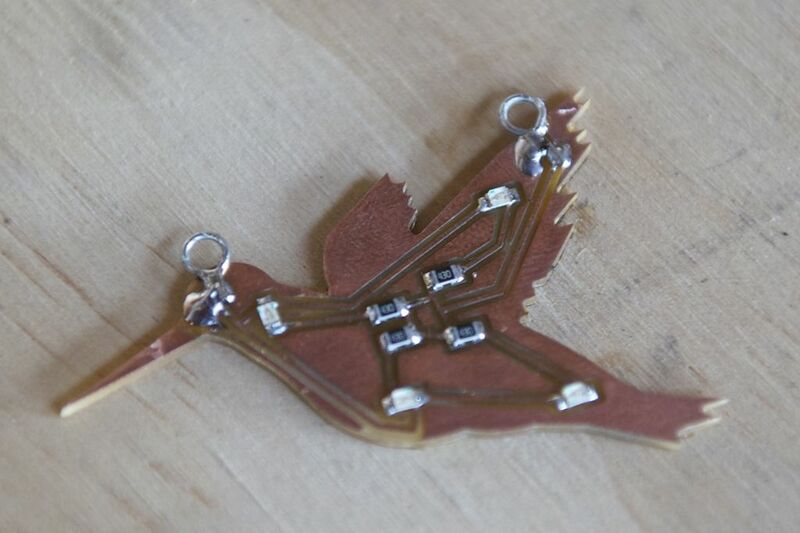 Cut this sweet little bird straight out of a blank PCB and etch the circuit on one side and a decorative pattern of your choosing on the other. Bonus LED backlighting brings ambiance on the go. 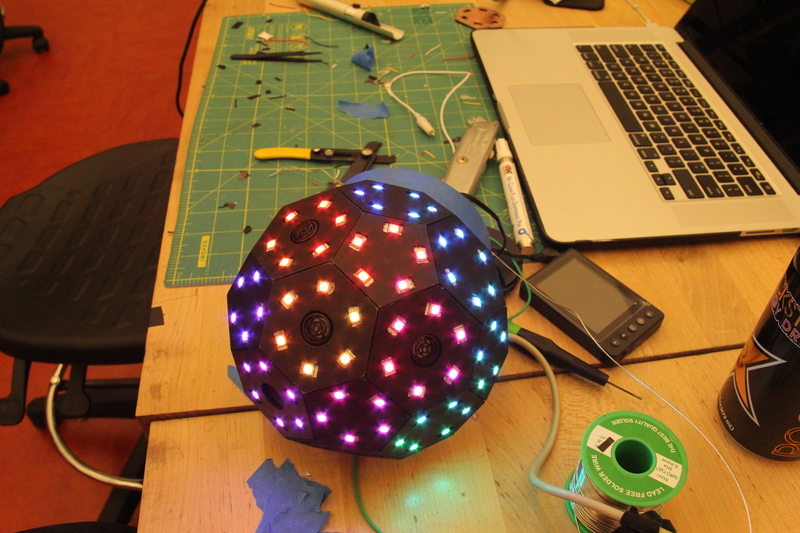 Mill out custom-shaped circuit boards that actually fit together to form a futuristic disco ball. Inside, distance sensors connected to an Arduino change the brightness of specific LEDs according to how much activity they detect. No parking on the dance floor.